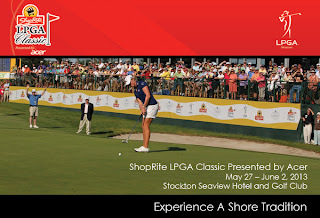 2013 ShopRite LPGA Classic has announced the Pro-Am Players & Professionals for Wednesday, May 29 and Thursday May 30. Check out to see when your favorite Players are scheduled. For a full list of all Professionals playing in the ShopRite Pro-Am Presented by Harrah's please click here. NOTE: The file is extremely large, so please be patient and let the document fully load. To find a certain player, please look at the index on page 2 and select which page of the 143 your player's bio is on. The page box should be in the top left corner.